The new line of Advance VL500 wet/dry vacuums is designed to accommodate virtually any cleaning requirement. Available in three models 9, 14 and 19 gallon tank configurations the VL500 wet/dry vacuums satisfy applications ranging from small office environments to large education and healthcare facilities. 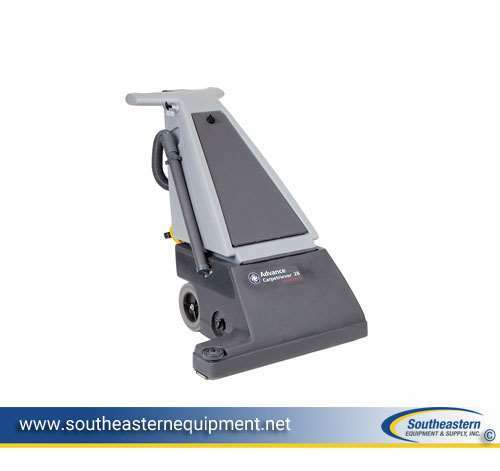 Designed with a superior filtration system, easy-to-use features and multiple accessories, operators are guaranteed to find a wet/dry vacuum to fit their cleaning program. With three unique models to select from, the VL500 series delivers unprecedented cleaning flexibility. 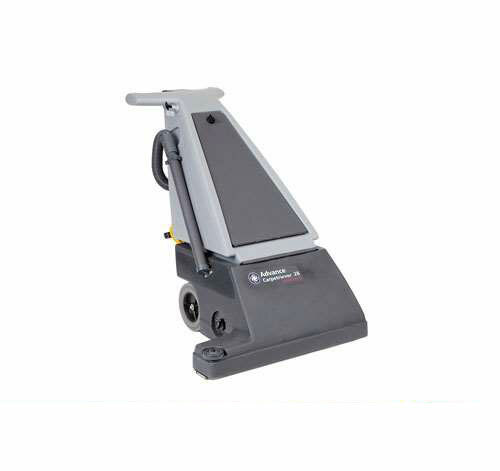 Equipped with a front-mount squeegee and 19 gallon tank, the VL500-75 is ideal for large capacity floor scrubbing and stripping. Plus, forward and backward scrubbing capabilities and an exclusive ERGO tip n pour design make wet pick-up and emptying easy. For emergency spills and floods, the VL500-55 delivers power and functionality when you need it. Featuring a hose,wand, squeegee floor tool, brush floor tool and optional front-mount squeegee, you can quickly clean up any unwanted messes. When dirt or dust is the primary issue, the VL500-35 offers quality filtration and dust capture, in addition to crevice and dusting tools. Operators can also employ the VL500-35 for wet applications. Brush 25 1.4 in (64 cm) long x 2 in (7 cm) diameter, w/nylon bristles in chevron pattern. Brush Adjustments Brush has 8 height settings for various carpet piles, and 2-positions to adjust for brush wear. Collector Bag 1 bushel (35 L) capacity. Cloth bag is standard, disposable paper bags are optionally available. Built-in Hose/Wand 14 in (36 cm) hose stretches to 56 in (142 cm). Wand is 24 in (61 cm long). Power Cord 75 ft (23 m) long, 14/3 wire. Yellow color for safety. Wheels Two 8 in (20 cm), non-marking rear wheels, two 2 in (5 cm) twin swivel front casters.